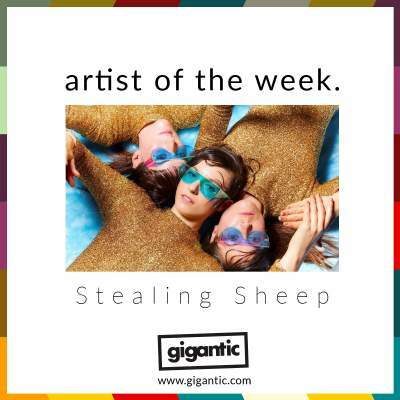 Formed in 2010, Stealing Sheep are the awesome indie pop three-piece from Liverpool you need to know. Consisting of drummer Lucy Mercer, with keys being shared by Rebecca Hawley and Emily Lansley who also plays guitar. The trio quickly gained attention for their highly accomplished and imaginative singles and their first EP ‘Noah And The Paper Moon’. Three years later, they returned with their second full length record ‘Not Real’. Ten tracks of charming tunes which deftly leap from bright pop to krautrock inspired visionary oddities and complexed funk which CLASH called “A bit bonkers, a bit brilliant”. While we eagerly await their next studio release which, no doubt, will be another impeccable example of excellent synth pop, we are excited to see that Stealing Sheep have just announced two dates for the new year that you need to attend! Stealing Sheep tickets are currently available.